Picture yourself arriving at the base of one the most beautiful mountains in the Catskills. Now, take a deep breath of April mountain air — still crisp enough to remind you of the winter you’ve slogged through, and warm enough to assure you summer’s around the corner — and start weaving your way through TAP New York’s brewers pouring as many as 400 different styles of beer. 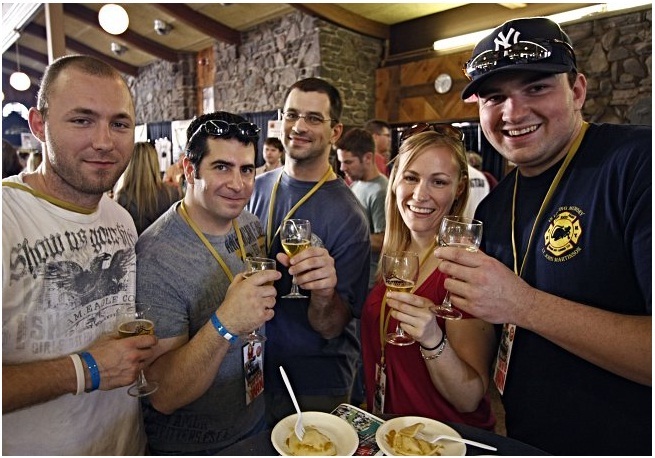 Held annually at the end of April and praised as the state’s largest craft beer festival as well as the largest single-state craft beer event in the nation, TAP New York features hundreds of beers from over 120 breweries throughout New York State. There’s more than beer – spend your visit sampling amazing food pairings that only make the beer taste better. TAP New York is the perfect place to choose your new favorite beverage.